Colleen Lindsay has been dropping tweets about Penguin’s Sekret Projekt for months! First, when she spoke of moving over to Penguin’s Business Development Team. Then, when she tweeted the job requirements for a new assistant. Yesterday, I just happened to see that she planned to reveal the truth behind the project at her panel this morning at the DFW Writers Conference. Am I in Dallas-Fort Worth? No! Boo! BUT I do have Twitter. And now I know what the Sekret Projekt is…finally! 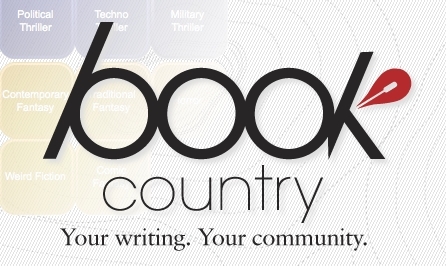 Book Country, an online community for work-shopping genre fiction. If you click on the link above, the only message available is that it is “coming soon.” I can’t wait to see how it works. UPDATE: The site is live! Looks like there are lots of interesting elements to explore, and it’s open not only to all writers but to all publishing industry folks, too. (Not just Penguin editors!) I’ll be signing up for a profile soon so I can see what it’s all about. If you do, too, follow me on Twitter or like me on Facebook and let me know what you think of the site. The Twitter collaboration sounds like an interesting idea, one not all authors would be up for, I think. I’m not sure if the “Projekt” is run in the same way. It’s not mine. It is run by Penguin Books, and the site is in beta testing right now. It will be interesting to see what it looks like when it’s ready to go live. And, I just visited BookCountry.com, which is now in public beta. Lots of compartments to get lost in, and genre discussions are already under way.